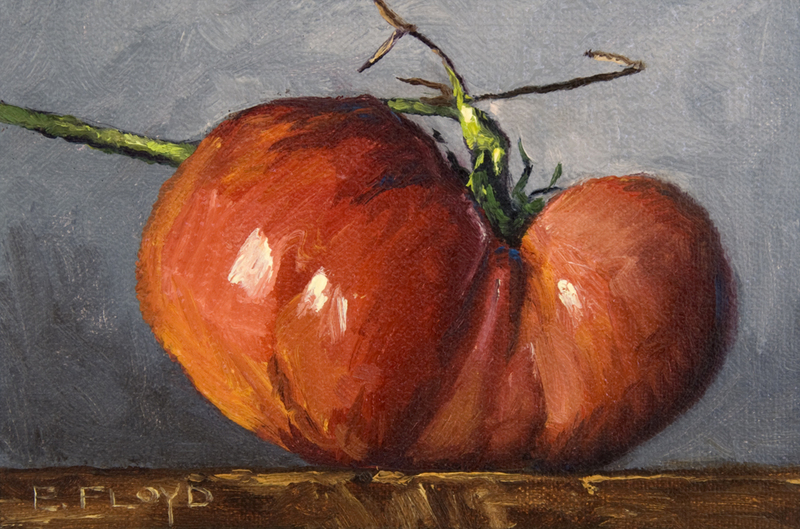 Here is another tomato painting... lately, I have been painting them like crazy because my garden is giving me a bunch right now. It is like the last gasp of summer because here in the Northern Virginia area, I have noticed that the weather is already changing. Autumn is just around the corner.